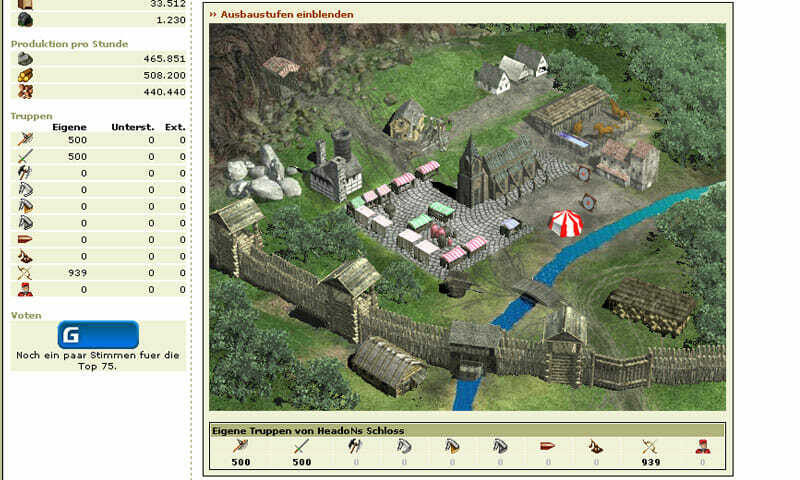 Damoria is a browser based strategy game that was first developed by Damoria GmbH way back in 2008 and has since been published BigPoint. Despite being on the scene for many years, the game still has a very active following. This will primarily be because the game is now available in a total of 16 languages and has servers all over the world. The game is a very simplistic 2D strategy game that pits players against eachother as they each look to build an empire and army that is stronger than the rest. It is set back in medieval times and sees players competing to see who can gather the most resources required to put together an army strong enough to conquer others. The game is all about resource management, as is the case with the majority of games in this genre. Each decision that you make will have to be the right one as it can take hours for actions to be completed. The resources you collect are all used to build constructions and more importantly the army and weapons that you will need for both defense and attack. This aspect of the game is what is the most appealing because there are many different structures that you can build. 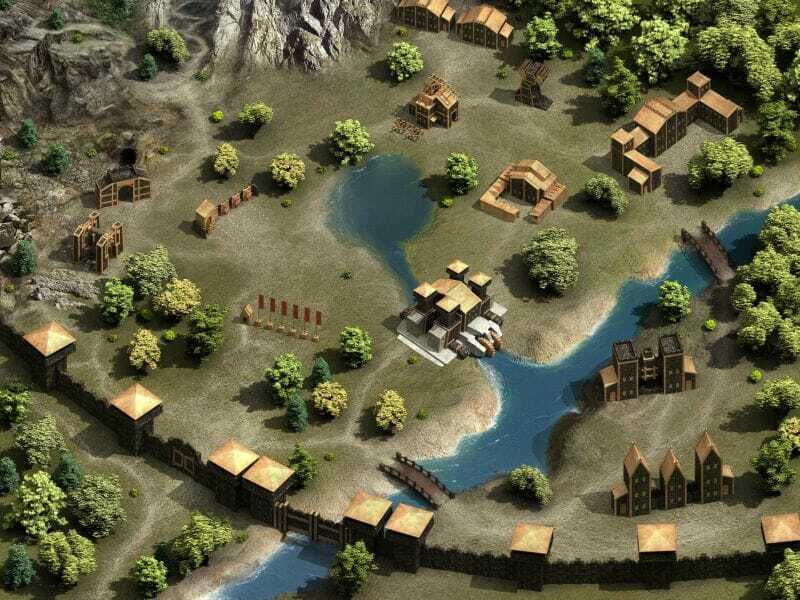 Not only do you need to build dwellings but also barracks, storage facilities, training areas for your military units, walls, markets, research facilities, a senate and of course the buildings required to gather your resources. With all of this building being required, you can see just why you have to think heavily about your long term plan. You need to manage what you will build, when you will build it and decide which structures are of the most importance at any given time. You have to keep a close eye on all your resources and especially your money. This is because you not only have to worry about having enough for your constructions but also to have enough to research and develop new army units and weapons. There is no point having many constructions if you do not have the forces available to defend it against attacks from others. The game does have a lot of interactive features too. You will almost certainly have to trade resources with other players, which is where friends and enemies can be made. There is also a very active forum that can help you to learn about the game from other players. Graphically the game is very mediocre, which is nothing new with browser based strategy games. What is surprising though, is that there is no sound in the game at all. This might not bother some but for a game that takes up a lot of time and has you waiting around the majority of time, no sound can make that experience even more boring. Despite that, you can always supply your own soundtrack, it is not that big an issue but makes you think just how difficult it would be to implement at least some kind of sound in the game. Overall though, the game will certainly appeal to those that love strategy games. In fact it already does appeal as we stated at the start of this review, bringing in regular players for more than five years now. It is perhaps not as good as some of the other games out there in this genre right now but it does have a lot going for it. Very poor graphics. No strategy. The person with the most troops wins. The number of troops you have is solely reliant on how long you have played the game and there are people that have played for 10 years. When you lose, and you will, you lose everything and have nothing to show for the 6 or 12 months you played. But I welcomed losing because it honestly was boring me, logging in every day building and recruiting and doing nothing else.